Our Warrior Pauldrons are crafted from 18 gauge steel. The Warrior armour features a simple row of studs along the edges. This armour fits just about any period for any character. 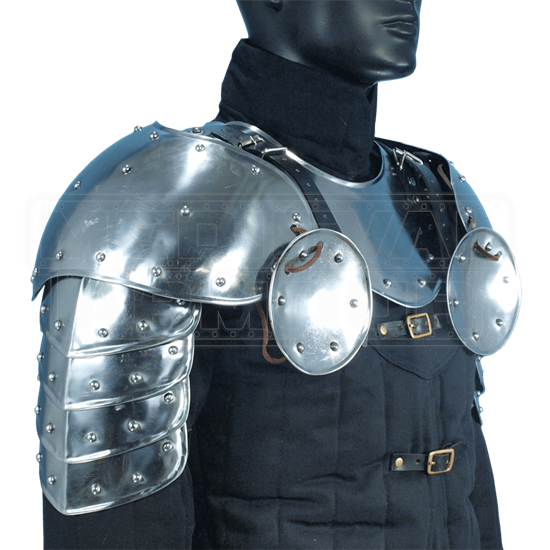 The Warrior Pauldrons have a large shoulder plate and four smaller lames that protect the upper arm. These pauldrons look great with the matching Warrior gorget which is sold separately.